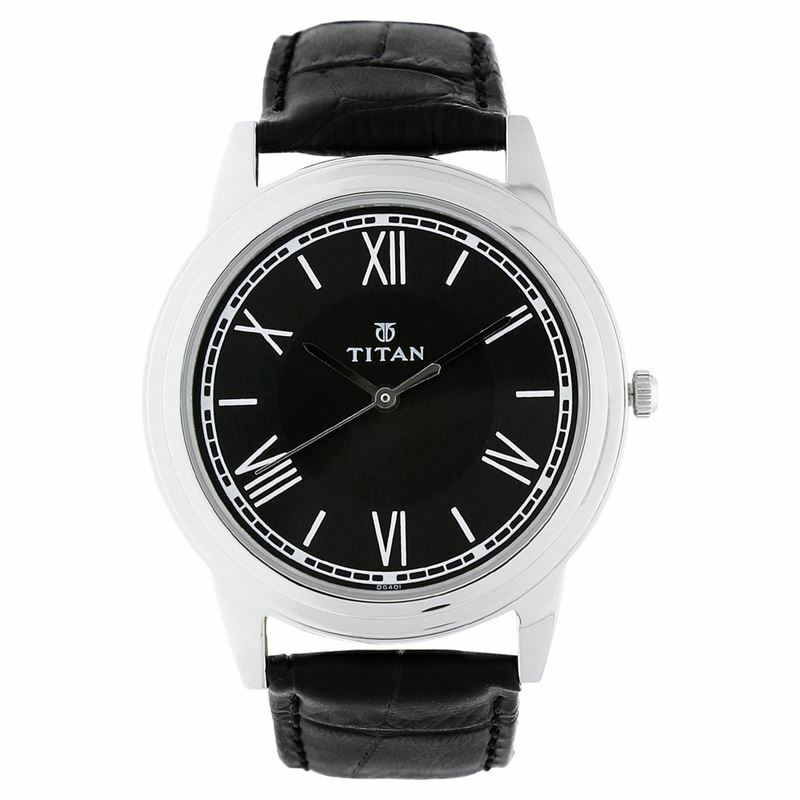 Titan's eye for perfection is what this watch is all about. An addition to the Titan Karishma collection, this watch combines the popular combination of black and silver colours on the dial and case. The stainless steel case comes is silver colour, whereas the dial comes in black. The white colour Roman indices and the rail pattern on the black colour dial is a delight to look at. The watch has a genuine black colour strap with alligator grain stitch which completes the looks of this elegant piece.